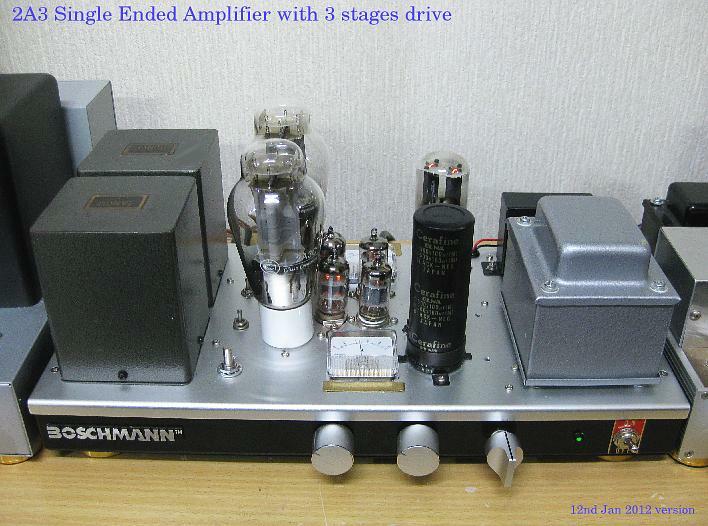 This 2A3 Single Ended Amplifier is using 3 stage of Amplifier. long time using EF86(triode connection)+ 6CG7/6N1P for drive,this time replaced 12AU7 paralel +6N1P for drive. almost circuit diagram is showing next. 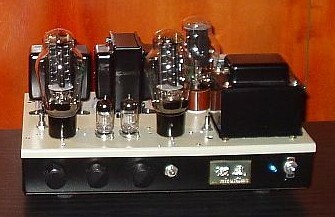 2A3/45/71A compatible single ended amplifier(Custom Made Kayra Single Ended Amplifier). 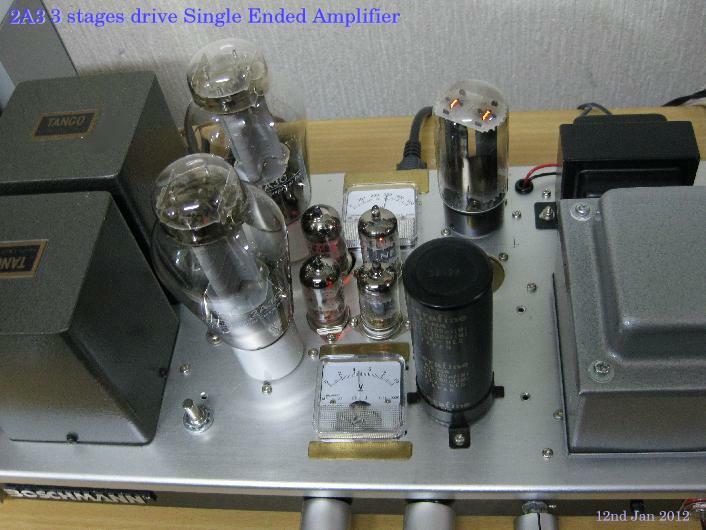 B+ is almost 300V and 2A3C ,2A3 Sovtek,2A3 old China can be use and to get good sound. 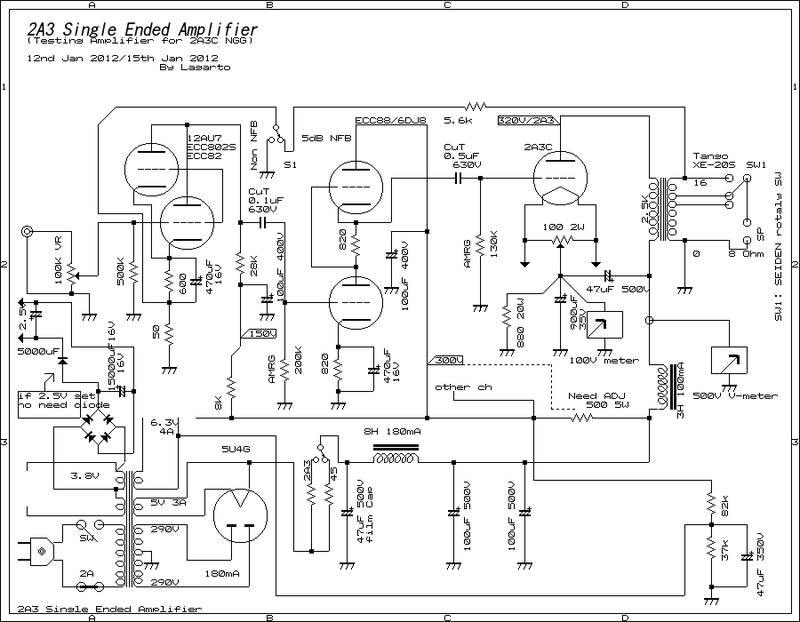 power is 5 W rms non distortion power at non NFB. on 21st Jan 2012.but can be use any 2A3 family. first stage is 12AU7EH, ECC82,ECC802S ,NEC 12AU7 are each other different sound.